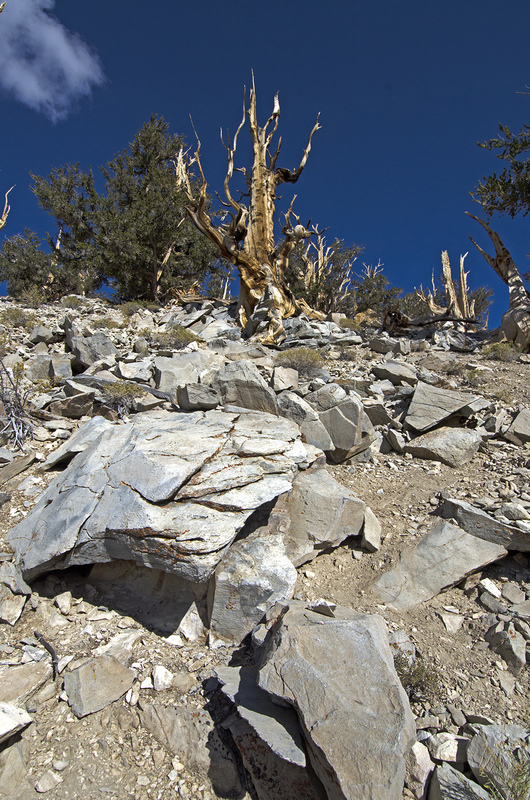 High atop the White Mountains of the Inyo National Forest is where I was heading. 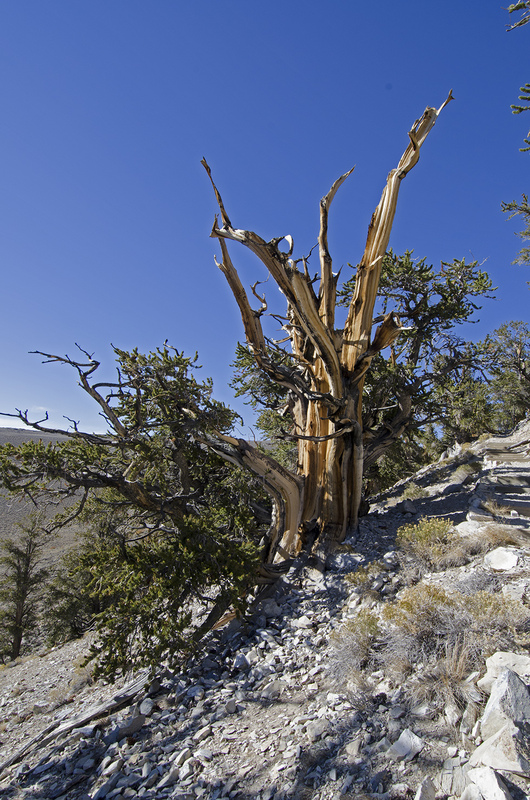 I was looking for the oldest trees in the world, the Great Basin Bristlecone Pine (Pinus longaeva). And as luck was with me, the roads were still open and I was able to reach the Shulman Grove on a bright, clear October afternoon. 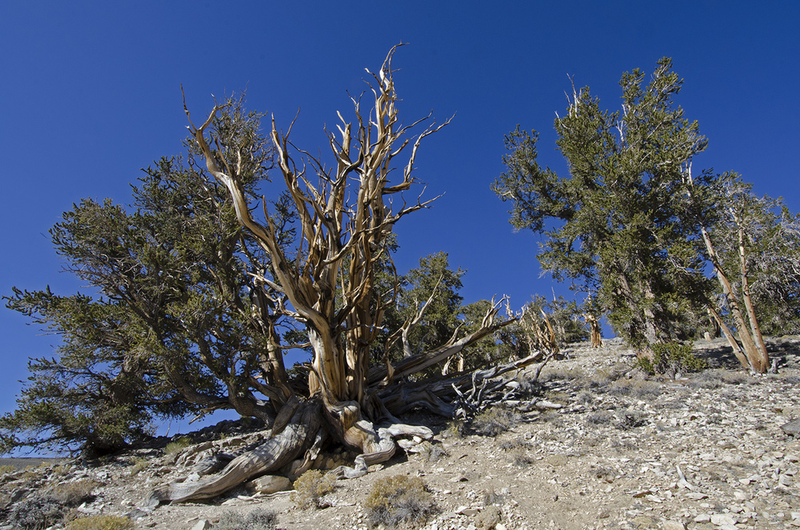 Bristlecone Pines grow at between 9,800 and 11,000 elevations and manage to thrive in poorly nourished, alkaline soil and an extremely short forty-five day growing season. They grow slowly, adding as little as an inch in girth over a hundred years. I have a feeling they like the thin, crisp air, the relative solitude and the bright sun generally found at 10,000 feet. 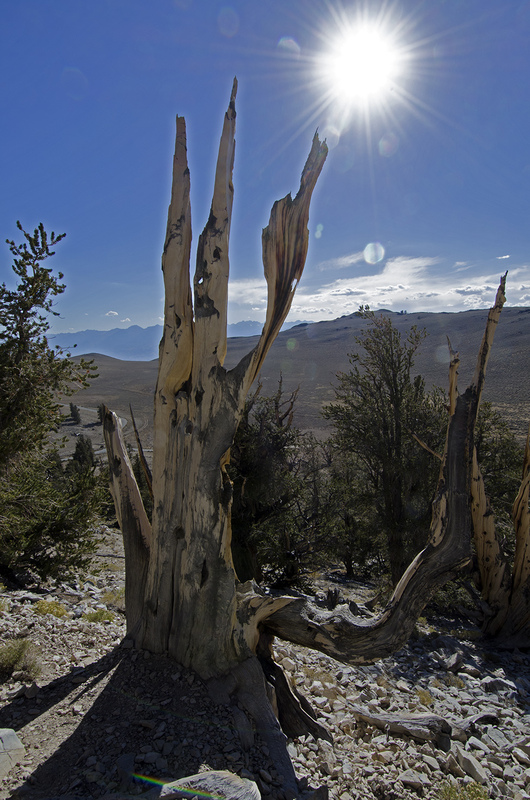 The Bristlecone Pines are old. And gnarly. Tenacious and impressive. Most of the wood on a living tree is actually dead and growth continues through a thin ribbon of bark. Meanwhile, wind-driven ice and sand sculpt the trees into works of living art. 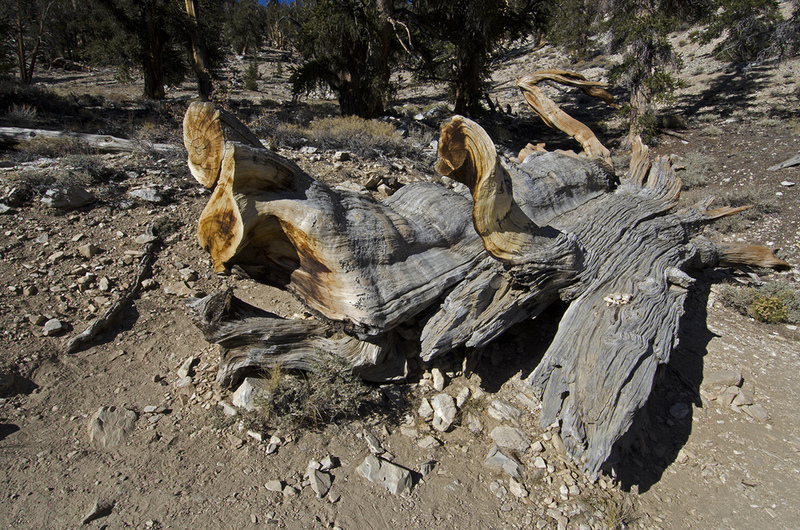 What do you say when you meet a 4,500 year-old tree? 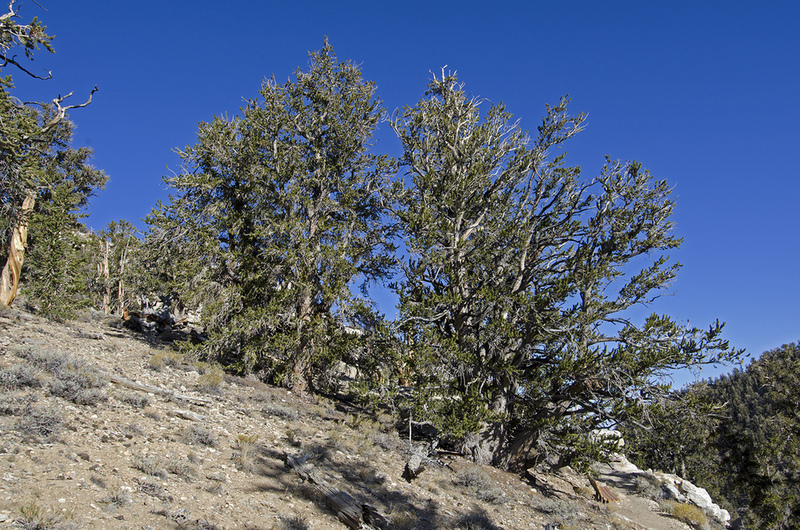 There are two self-guided nature trails to hike at the Shulman Grove. 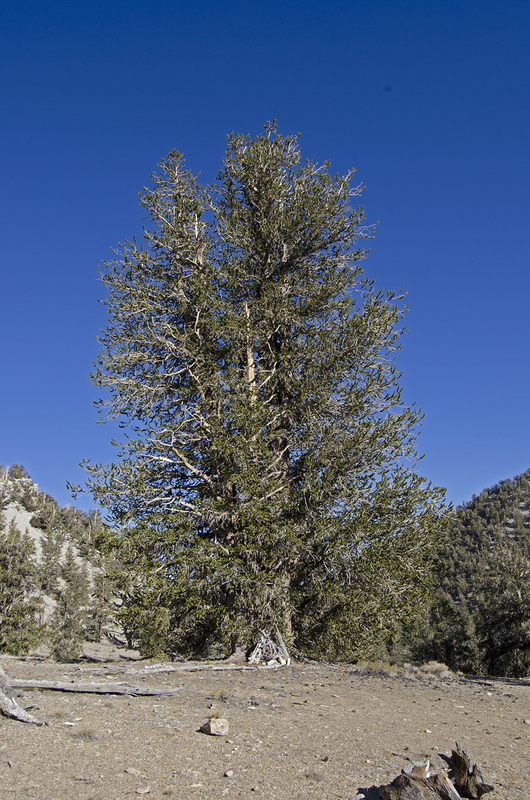 “Discovery Walk” will take you past “Pine Alpha,” the first tree dated over 4,000 years-old by Dr. Shulman. It’s a relatively short hike, a little over one-mile, but does grab some quick elevation gain. 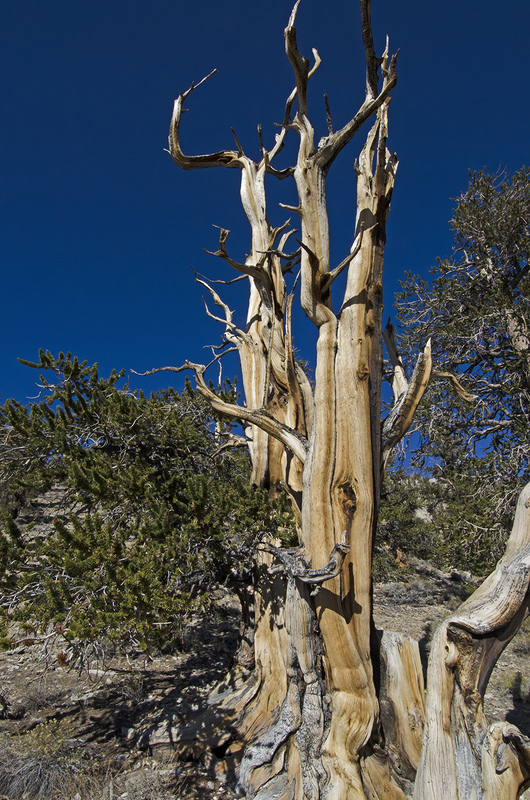 The “Methuselah Grove Trail” is a 4.5-mile loop that includes a side valley wherein the oldest trees dwell, including the patriarch of them all, Methuselah. 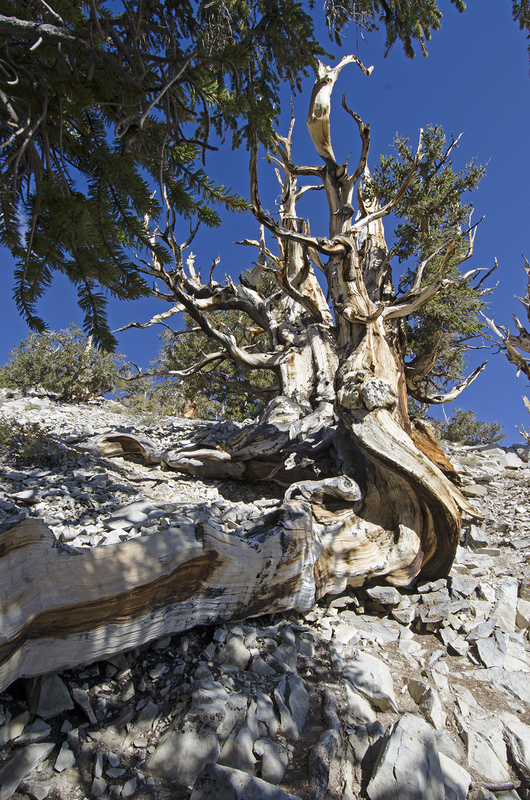 At 4,800 years of age, Methuselah is the oldest known Bristlecone Pine. That’s 1,000 years older than any other tree in the world. It is unmarked to help insure its safety from those who might do it harm. I parked my truck, grabbed my camera and a bottle of water and headed out for the Discovery Trail. Then I went back to the truck and put on a long-sleeved shirt and set out again. It was a bit chilly. I'd hiked this trail many years ago with my dad, and was looking forward to doing it again. The trail gains elevation pretty quick, and while it’s only about a 200-foot gain, it is at an elevation of 10,000 feet. Luckily, there are benches along the trail and the view from each one is fantastic. I took a lot of pictures and ran out of water before I was done (take two bottles next time). It’s always fun to get out and see what you can find. So if you feel like saying hi to the oldest trees in the world, plan on making your visit from Memorial Day through the end of October, as weather conditions generally close the forest the rest of the year. 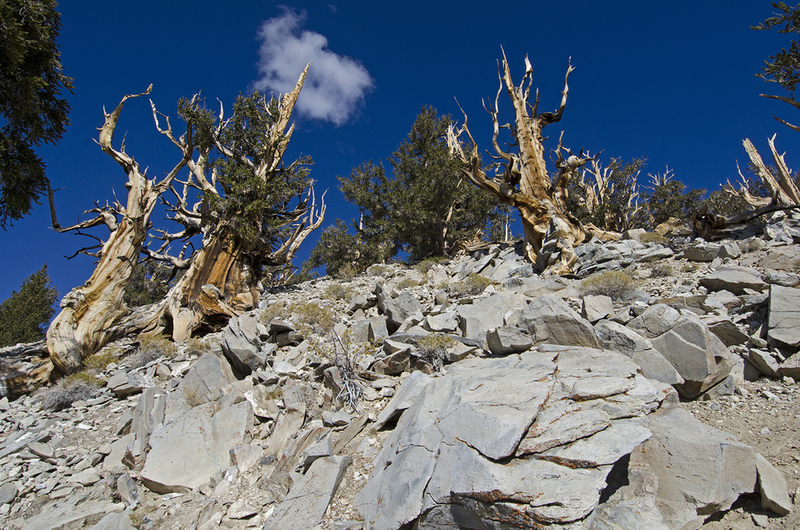 Click here for more information about the Ancient Bristlecone Pine Forest. The following photos were all taken along the Discovery Trail.